So it’s about time I caught you up to date on some cigars I’ve smoked. I think this covers the majority of them since my last post, ones that I’ve spoken about before I don’t really regurgitate but will give mention to one in this update because you need to try it. If you are looking for all of the official tasting notes of these you can find them on sites more dedicated to cigars, these notes are more or less if I enjoyed them. There are at least two cigars I took pictures of that I will not review because I’ve never seen them in shops and I have no idea how you would find them. On top of that, they just weren’t that good. 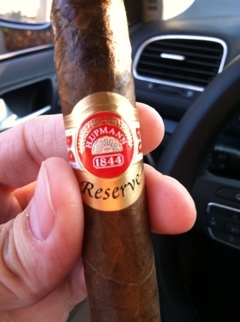 And at the end, a visual surprise, so let’s get started…..
First up is the H.Upmann 1844 Reserve, it has an Ecuadorian Habano wrapper and sports a Nicraguan binder and all Dominican filler. From memory I’d say it’s slightly above medium in strength and has mild flavors. 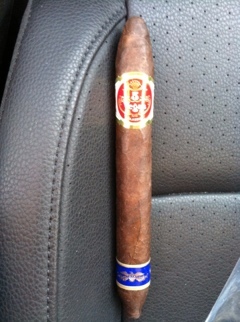 I smoked this on the way home I believe, since the picture was taken the car, and all I can say is that it is a middle of the road stogie without much flash. It didn’t leave a strong impression on me as I like nice, flavorful wrappers but can’t say I’ll be picking it up again anytime soon. Cost, around $7. 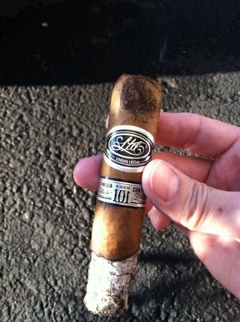 Verdict – It’s ok.
On a recent trip to NYC I stumbled upon a Room 101 event at Davidoff of Geneva. I bought the sampler of their offerings which included a pre-release of One Shot, One Kill, a promising smoke that may come out soon? Anyhow, this Room 101 LTD Conjura Edition is the second I smoked, wasn’t crazy about the previous one but this one (wrote about in the 1/6/2012 post) but this one was slightly better. Again, a medium smoke that had an interesting wrapper that I thought with the great mouthfeel would deliver some amazing flavors, not so much. 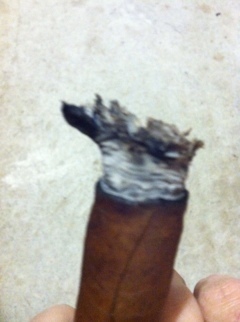 It’s not that I didn’t like this cigar, I just wasn’t crazy over it. I really admire the artwork and presentation of it but that’s just not enough. Around $9. And now for something completely different. 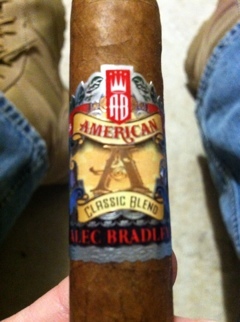 The Alec Bradley line is celebrating a best cigar award from Cigar Aficionado for 2012. Not this cigar, the American Classic Blend, but it is worthy in its own right. This Nicaraguan cigar covered with a Honduran grown Connecticut wrapper is a perfect medium smoke. It is a mellow fellow that does deliver on flavor and will beg to be smoked down. It’s also quite affordable, you can pick up a box for about $100. It would make a great daily smoke and deserves a place in your humidor, if only to fend off the cigar smoocher next door! I have a neighbor who loves cigars but always runs out. He’ll ask, hey, do you have something in there you don’t want. My standard response is, I don’t buy crap! 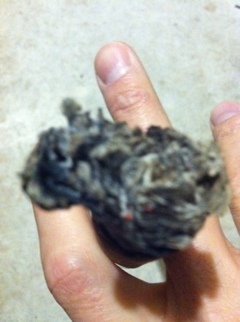 But I wouldn’t feel bad giving out this one because it IS a good smoke but not costing me a whole ton. Verdict – buy a box! Ok, Padon. Any questions? So this isn’t the Anniversary line that is so excellent but the regular line, but there isn’t anything regular about it. It’s a darn good smoke. Medium to full in strength. Full disclosure – I cut this rather lengthy one into two because I didn’t have time to smoke the whole thing and knew it. I will do that with a long cigar and enjoy half for lunch and then some on the way home. 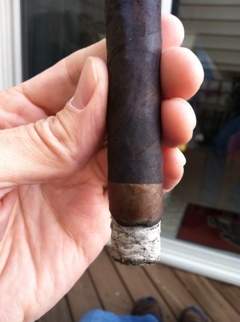 I really enjoyed this Nicaraguan puro and it just delivers on flavor and construction. A really good smoke! Once in a while I pick up a stray cigar that either was released in limited quantity and failed or someone forgot to put it out on display and it finds its way out months or years after it was first released. 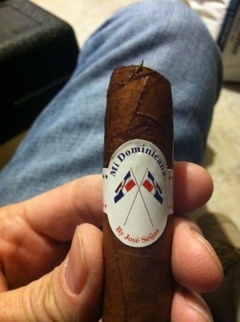 This Mi Dominicana is a pure Dominican cigar that I picked up by Jose Seijas. 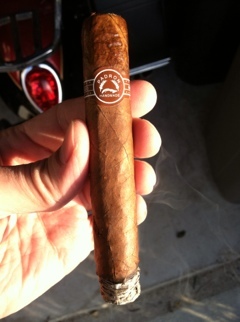 I really don’t have any praise for this cigar, it wasn’t bad, wasn’t good either. It was good enough to smoke through but I can’t say go search this one out. It also had a bad habit of mushrooming out while being smoked. Not a huge deal but kind of bush league to me. I’m not sure what I paid for this, but you probably will not run across it. You can pick up a box for around $150 on a popular web-site but you might want to sample before you try. It has two binders, one Ecuadorian Sumatra and a Connecticut shade. 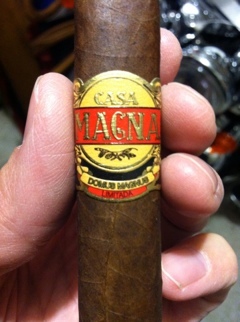 I really enjoyed the flavors of this cigar and can’t wait to pick some up, which may take a web-purchase if necessary. Verdict – Yes! Get sum. And now, a repeat offender. I’ve written somewhere before about the Colorado from Casa Magna and this is just a reminder. BUY IT! ’nuff said. I really liked the construction of this Vegas 5 cigar. It is rolled in a special fashion, I forget the style name, forgive me. 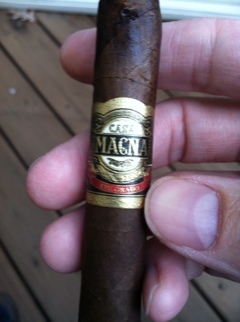 But I think it is a limited edition that came in from Cigar International which I get a monthly shipment from. I like doing it because usually I get something that I may have not picked out for myself. The Vegas 5 line is quite popular and economical. I don’t usually buy them because the marketing, hate to say it, doesn’t quite do it for me. But this is a good smoke! I really enjoyed this one on the way home one day, its medium to full in strength and really does a good job. Verdict – sure, pick one up! Ok, another Matt Booth creation from the Room 101 Namakubi line. I have not been impressed so far with this line, but love the marketing! This stick I pulled out and said, ok, smoke it anyway! Glad I did. This is the best of his line I have had. I think this is a medium cigar that delivers a quality smoke. It is the Connecticut series, which refers to the wrapper. It’s a Dominican/Honduran blend filler with a corojo binder. It runs around $7 I think? I think this has a good potential for a daily smoke. Verdict – give her a spin! So the last cigar for your surprise at the end. 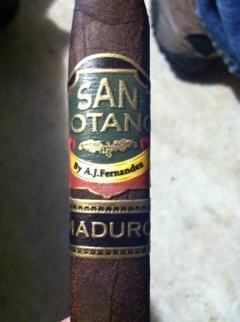 This is the San Lotano Maduro box press by A.J. Fernandez. Anything with A.J.’s name on it deserves some attention. 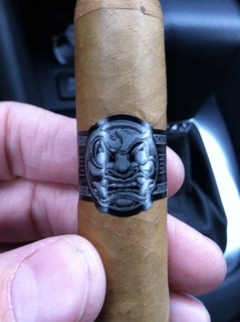 This was a great tasting cigar, before you light it! 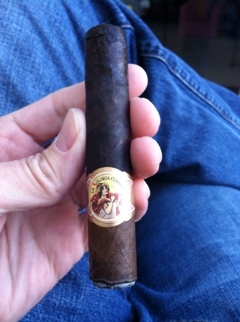 It is a San Andres Valley wrapper that is a treat to the tongue and the Dominican/Nicaraguan filler really delivers. This is a slightly over medium strength cigar that is just pleasing. Smooth and creamy, it was a really good smoke. I really liked the box pressing on it also. If you want a cigar to pair with a quality red wine, like Bordeaux, I’d grab this one. SURPRISE! I took a picture of a cigar magazine, not sure which one, while in a cigar lounge, ran it through Instagram and here is the result. For your viewing pleasure. Sorry girls.